Scattered across London are remnants of the city's industrial past. Gasholders are one such relic. Lying across the zone 2 and zone 3 hinterlands are plenty of the circular metal structures, although they're now defunct — awesome though they might be, they are not how a modern city stores gas. So what to do with these old structures? People have a fondness for the things and want to see them remain in some format. But with land such a precious commodity in London these days, can we really afford to let them rot without use? Of course not. 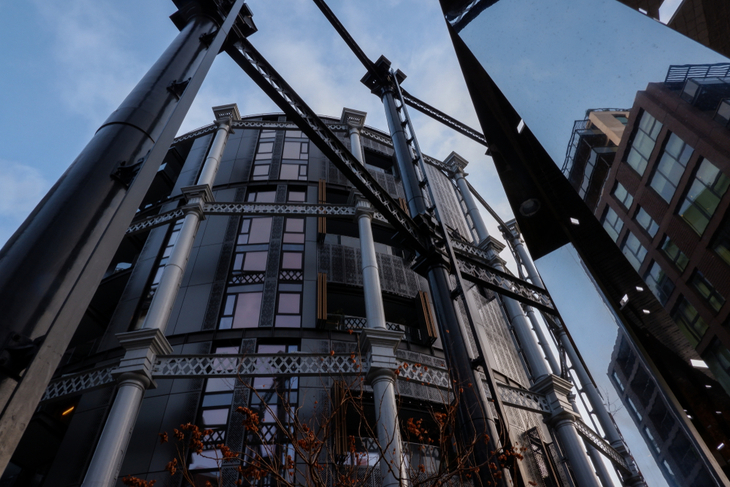 Here are six well-thought out alternative uses for London's gasholders. Seeing as London's getting a see-through swimming pool dangled between two blocks of luxury flats — although obviously, it's delayed — bringing vast quantities of water into the city to be ogled at is now clearly OK. And while staring at people swimming has a novelty factor, we can't underrate the original reason people like to ogle water. 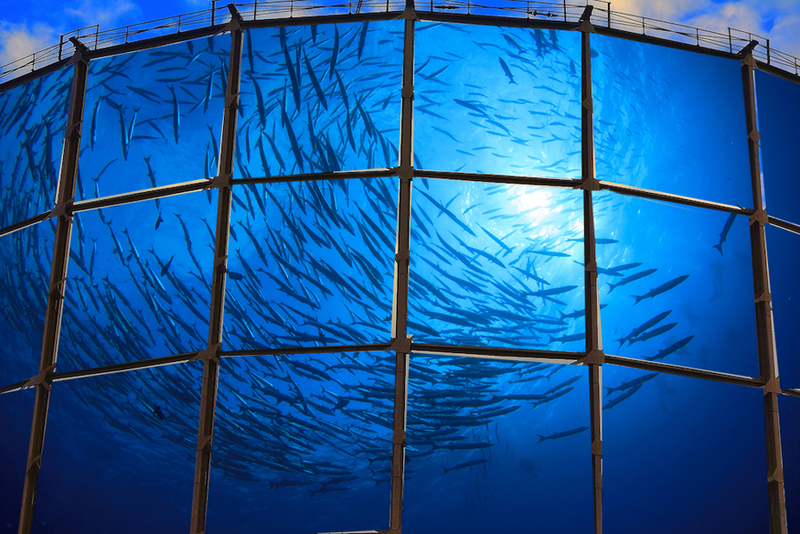 Aquariums. See our excellently photoshopped image above for proof of concept. The British public can't get enough of a reality TV show that drags celebs kicking and screaming outside of their comfort zone. Make them ballroom dance. Chuck them down a ski jump. Put them in the jungle with lots of creepy crawlies. It goes on and on. Well here's an idea. Get the c-listers clambering up gasholders, like those urban explorer folks like to do. No ropes or anything to give the show a real sense of tension. 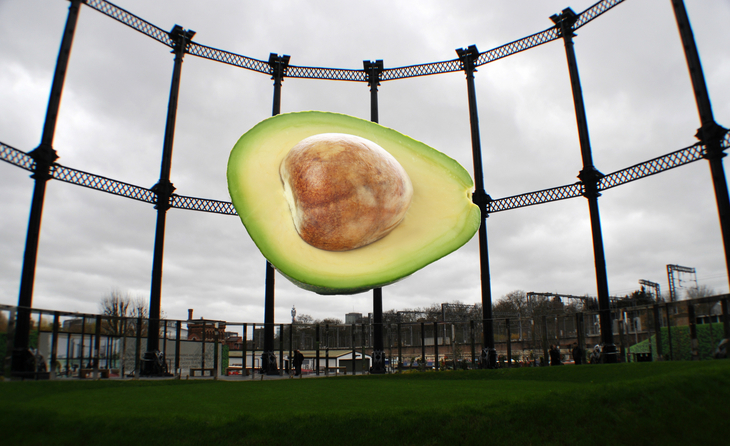 London cannot get enough of avocados. 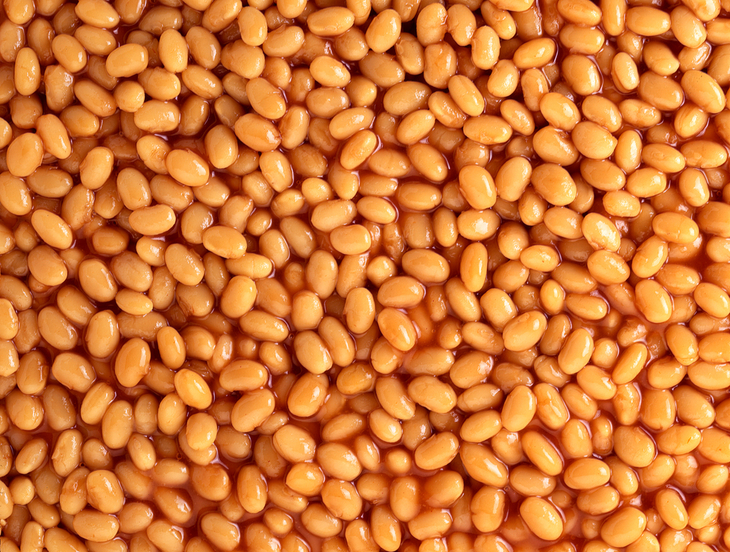 The delightfully healthy bastards are the root cause of the London housing crisis — young people are splashing all their cash on the creamy green things instead of property. How reckless of them! So let's fill an empty gasholder with a concept cafe. On that cafe's roof? A giant avocado, of course. And it will be named: HassHolder. Because where else will we store all the oversized pens?! 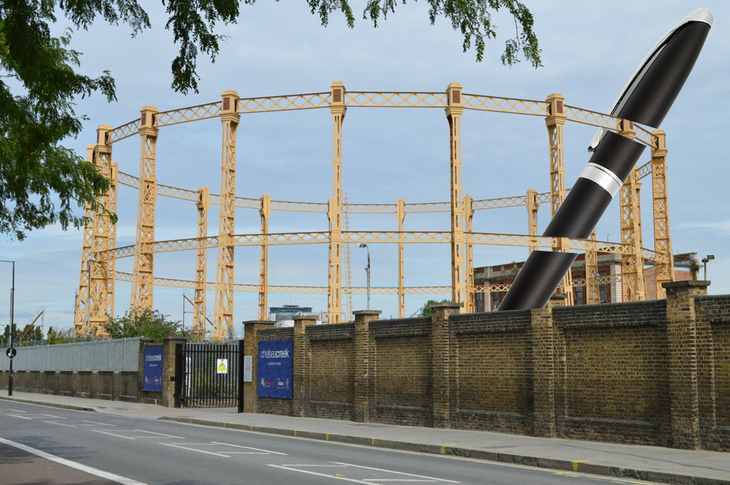 Ever looked at an empty gasholder and thought it resembles something? Some sort of an arena, perhaps? It's like the industrial revolution version of the octagon in mixed martial arts. Well we've got the perfect competition for the structures. Note: The scoring system is a work in progress, if anyone has any better ideas, comments below. Oh wait. Someone's already done that.